Where did this year go? All of my hopes and plans of keeping up with this blog failed again this year. Guess that means blogging will be my New Years Resolution for 2017. 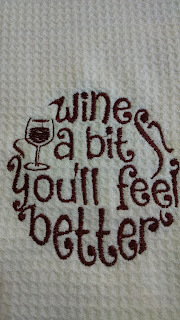 We have done some absolutely fabulous things on the embroidery machine this year. 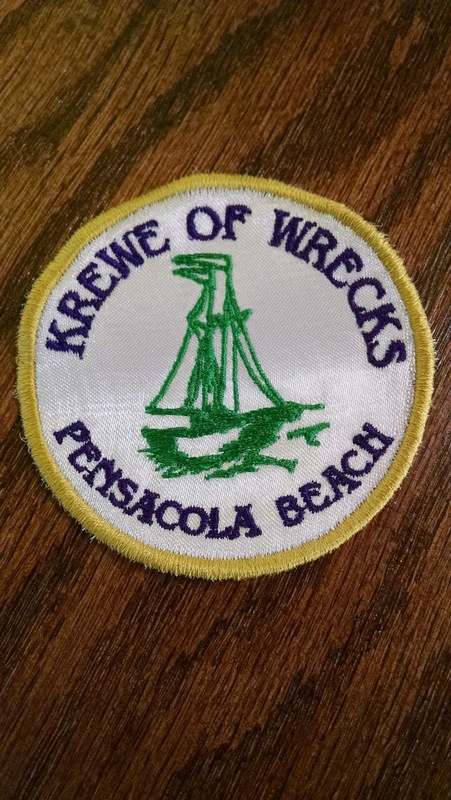 Digitizing embroidery for machines has become an integral part of the business, too. Truthfully, I just enjoy the creating and then watching the creation come to fruition. I sure hope everyone had a wonderful Thanksgiving. With all of that said, let's get down to pictures of embroidery. 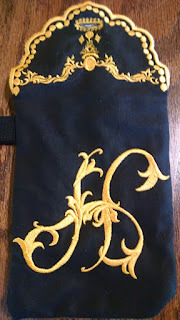 I'm an avid Pinterester and love the antique/heirloom embroidery. 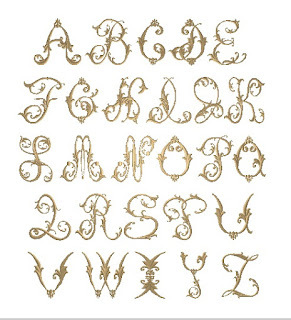 This year I decided to create my own alphabet that looks antique. It took all year but I finally finished. The alphabet contains 2 Q's. I couldn't decide which I preferred, so, I just did both. I call it my "Ancient" alphabet. 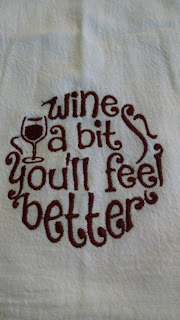 I put it on several wristlets that are listed in the Etsy store but these can be embroidered on anything, in any size or color. It is funny but some alphabets I don't like the style of the S or I or various letters. 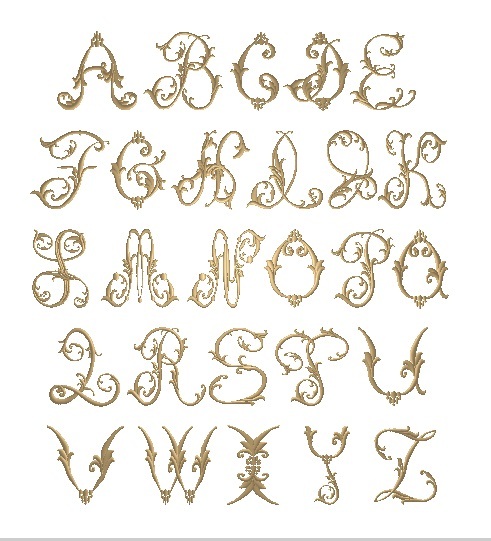 In this alphabet I created letter styles that I do like with an antique flair. What do you think? My studio has two bathrooms but the largest would be considered tiny in most homes. 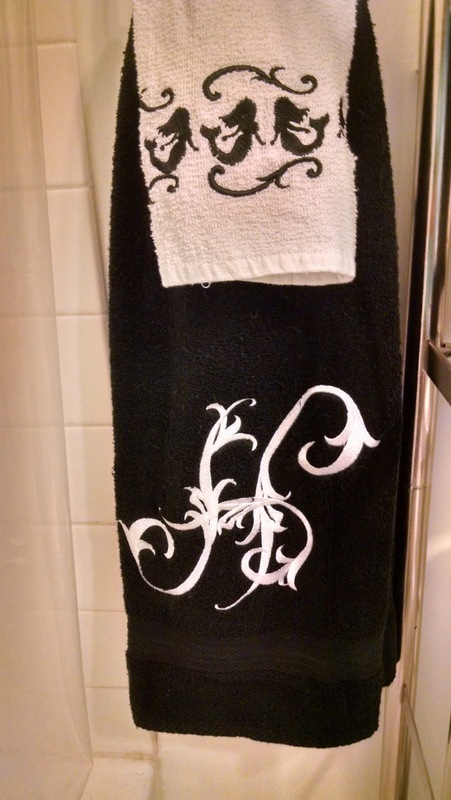 Nevertheless, I needed bath rugs. Something that I can just throw in the laundry to clean but yet still have a rug so wet feet don't have to meet cold tile. 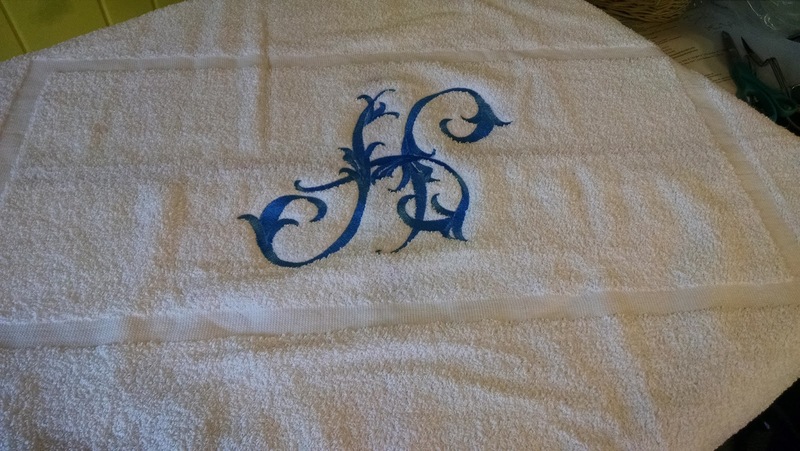 One of my suppliers sells hotel type towels and had those towel rugs. They are almost too big for one of the bathrooms but still it does fit. 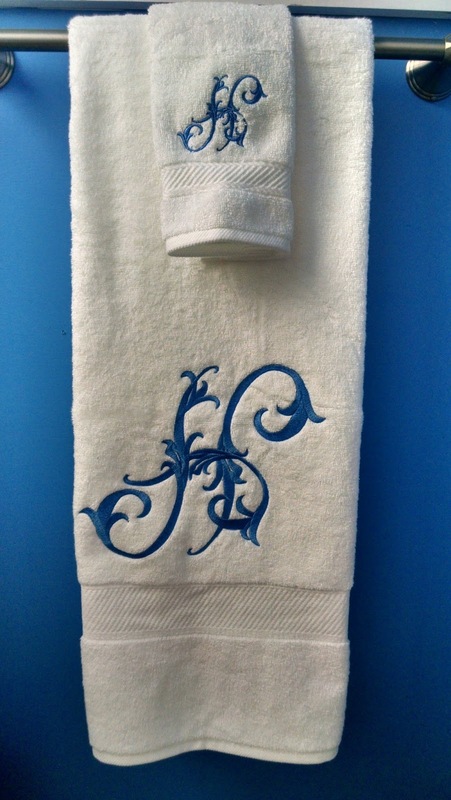 I put a nice, big, 8" tall, monogram on it the same color as the walls in the bath. They turned out so pretty. I used my new Ancient alphabet for the H. One was made for each bathroom but I think I'm going to make 2 for each so that when one is in the laundry, the other can be on the floor. The rugs were made and I looked at the bathroom as a whole and decided to do a matching towel and hand cloth. When we painted this bathroom, I told my husband that I wanted painter's tape blue and that is what it is. This is the smaller of the two bathrooms and the blue and white makes it look so happy. The second, larger (ha) bathroom is done in black and white. I already had the little mermaid hand towels but they really popped when I put them over the black monogrammed bath towel. Okay, so it is now Christmastime. 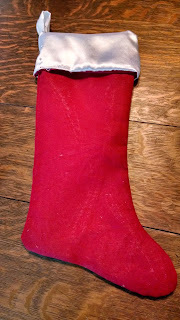 Here are a couple of Christmas stockings that I made because it is Christmastime and that's what I do. They are made with red muslin and fully lined with white satin like the cuff. The total height is about 16". They are a nice, normal size for a Christmas stocking. 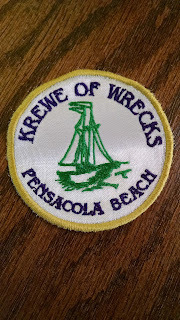 When I look at things like this, I see lots of room to embroider. Rather than the cuff, a name going vertical down the stocking would be really cool, don't you think? 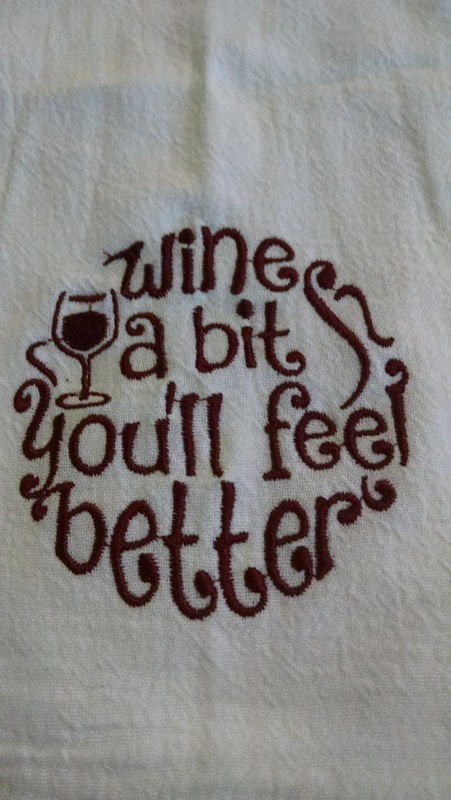 This next one "Wine a bit you'll feel better" just about says it all. 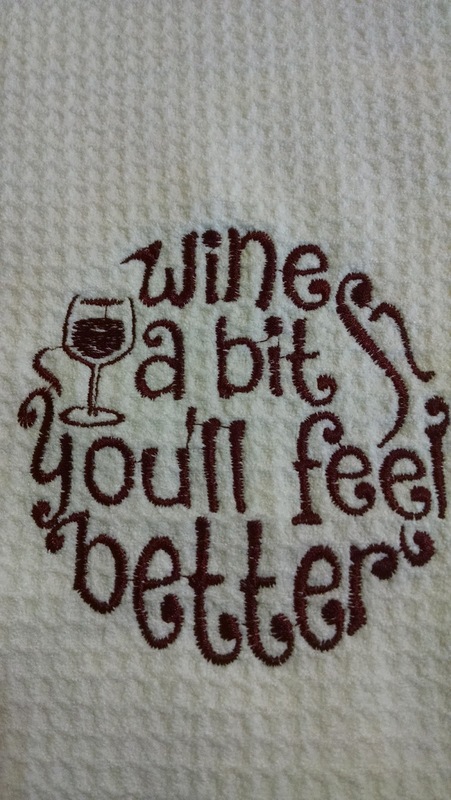 I did one on a waffle weave towel and the other on a flour sack towel. They turned out very nice. 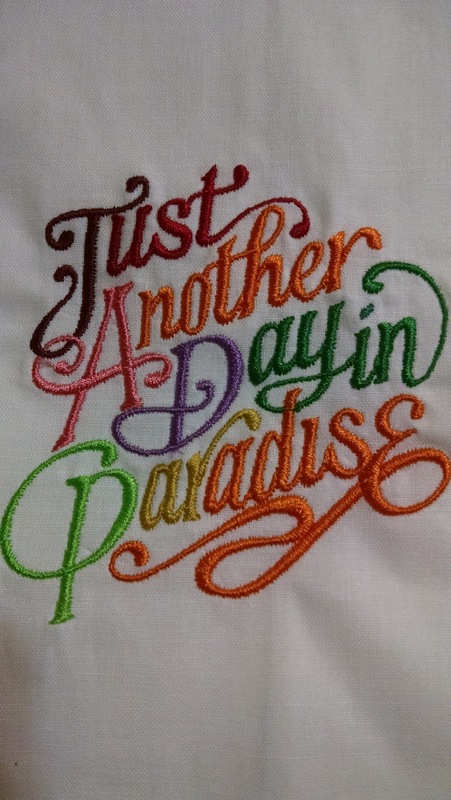 Then on one of our nice cotton hand towels, "Just another day in paradise" in a multi-colorful array of threads. 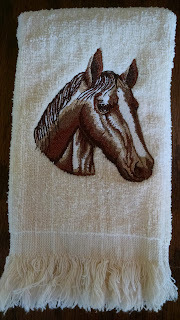 Here is one of our fringed fingertip hand towels. 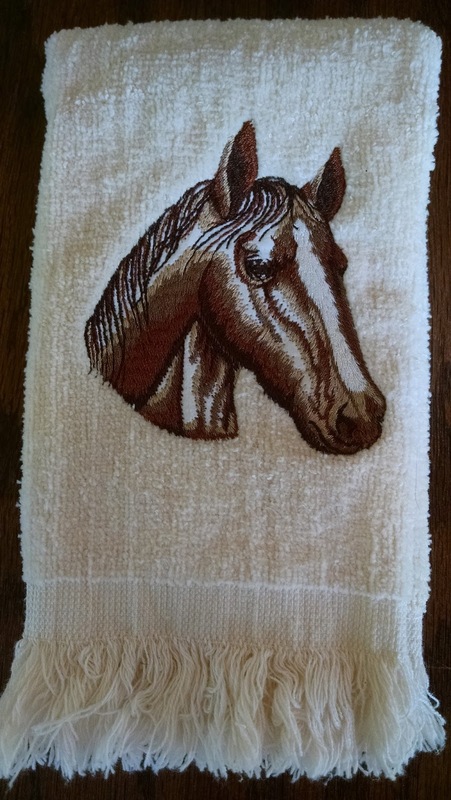 That horse turned out perfect. I love those colors. Wish I could say that I did that digitizing but no, that is a purchased design but wow. 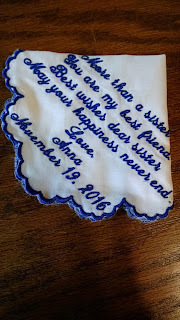 Of course, we are always doing the wedding handkerchiefs. So many styles, fonts, colors, and messages. 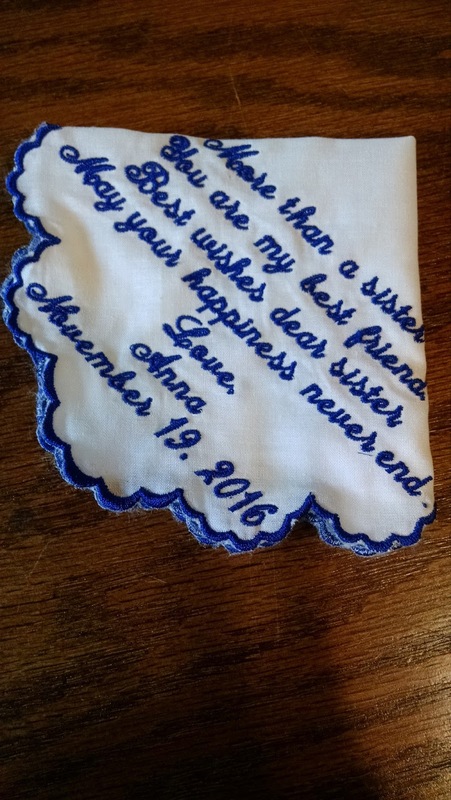 One lady had so much to say to her mother that the message took up the entire handkerchief. She liked my suggestion of simply framing the handkerchief with the message and did just that. I just love your blog. 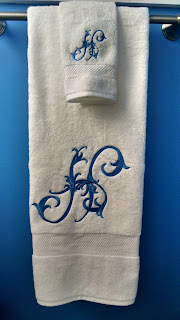 Thanks for sharing such a nice article about embroidery .